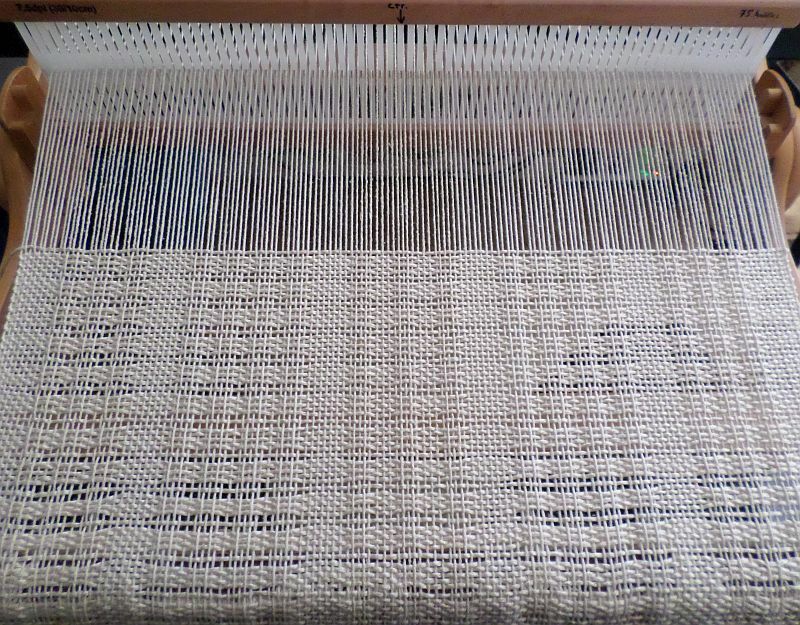 Technically this post is NOTES ON THIS PARTICULAR PROJECT, but there’s some useful information about the pattern and which pick-up stick to use for warp float weaving. This is not an attempt to amass an exhaustive list of all yarns available. Some of the yarns in this list are readily available (at craft stores such as JoAnn, Michaels, and Hobby Lobby), so if you’re just getting started and don’t know what yarn you want to collect, or if want some yarn quickly to practice a particular technique, maybe this list will be useful to you. After having cleared my two Ashford 20″ Knitter’s looms of projects they’d been housing for over two years each, I decided I want to do more sampling or, rather practicing, before embarking on a project. 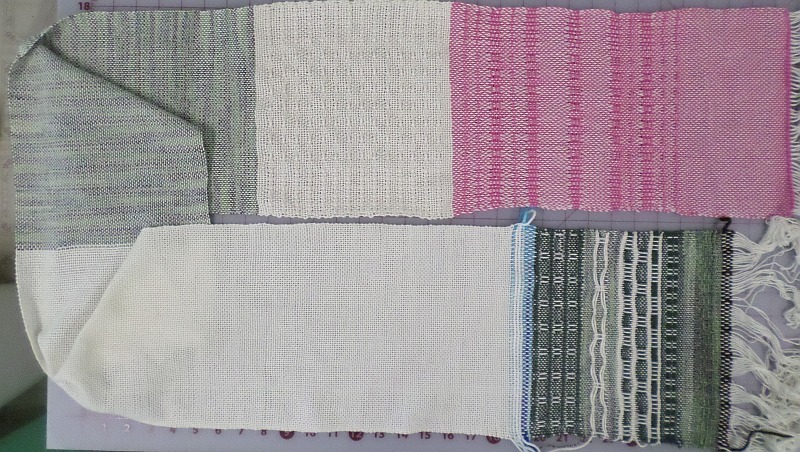 Bottom right is the results of my class followed by two sections of plain weave with different thin-nesses of yarn. Two sections of experimentation follow.